If you are looking for the perfect accommodations to complete your Branson, MO vacation preparations, you can rest assured that Sunset Nightly Rentals will far exceed your expectations in comfort and amenities. We have no doubt that you will be impressed with what you find from the moment you arrive at your Branson vacation rental property. We have a wide selection of three bedroom vacation rental options, ensuring a match suitable for your needs and budget. Nothing can compare to the gorgeous view you’ll experience at Lookout Point! The feeling of regality and splendor are in abundance when you stay in this charming villa! Your days will be bright and full of excitement at your beautiful new home! 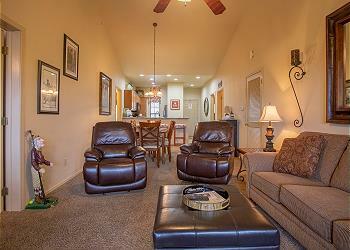 "Comfort" is just one of the many things you'll brag about after staying at Ozark Comfort Condo! Charming pet friendly vacation rental home with private pool and hot tub close to Bull Shoals Lake. Don't miss this highly rated, beautifully decorated villa offering all the comforts of home. Best of all, you can share your vacation experience with your four legged friend! That's right, a pet friendly Italian villa! Relaxing has never been easier than at Teal’s Treasure! 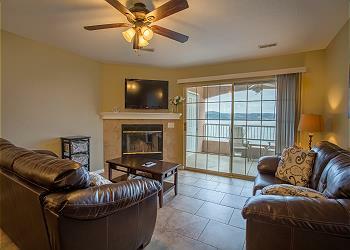 Your view of the perfect vacation is clear when you book this enchanting 3 bedroom pet friendly vacation condo right by Table Rock Lake! 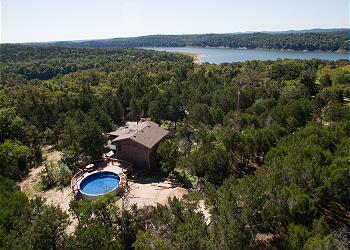 An enchanting 3 bedroom escape only minutes from Bull Shoals Lake. Whisk yourself away to a secret garden and let the sun melt the stress of every day life and work away. Get in touch with nature out on the private backyard gazebo! 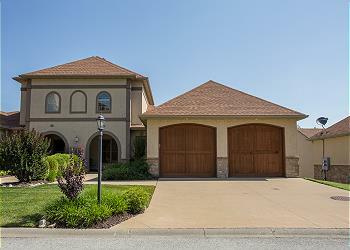 This 3 bedroom, 3 bath Stonebridge villa has a garage, sleeps 10, has a gas fireplace and is located near Silver Dollar City. As you stroll up the walkway toward the villa, you'll immediately recognize the Italian influence. The low-pitched rooftop complimented by decorative eaves typical of Italian style hints at the elegant layout and decor you'll discover inside. Treat yourself to a relaxing escape where the water is right outside! Sunset Nightly Rentals is proud to offer the best locations in the Ozark Mountains region, with three bedroom Missouri vacation rentals situated just minutes from the 76 Strip, on the beautiful lakefront, and adjacent to distinguished golf courses. Many of our rental units can be found at communities like Branson Creek, Fall Creek, Branson Hills, Pointe Royale, Emerald Pointe, Stonebridge, Thousand Hills – The Champions, and Holiday Hills. You can look forward to cozy furnishings and sophisticated décor in each Sunset Nightly Rentals three-bedroom Missouri vacation rental. Indoor and outdoor dining tables will allow you to enjoy homemade meals wherever you please. Flat screen televisions and cushy couches make it easy to lounge with the whole family for some downtime from your busy itinerary. With plenty of square footage to accommodate up to 10 and fresh, soft linens, you’ll sleep more peacefully than you have in a long time. Our three-bedroom amenities provide a convenient and relaxing environment that allows you to take full advantage of your time off from everyday life. Staying in a Sunset Nightly Rentals property not only means having striking views of the area, but also having access to luxuries such as jetted bathtubs, sunrooms, boat slips, cable TV, swimming pools, hot tubs, tennis courts, and private decks. Sunset Nightly Rentals isn’t just concerned with providing you a place to stay, but rather giving you an incredible Branson experience overall. 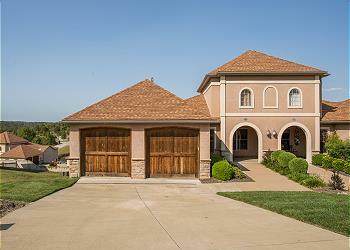 Stay in one our beautiful Missouri vacation rentals today!